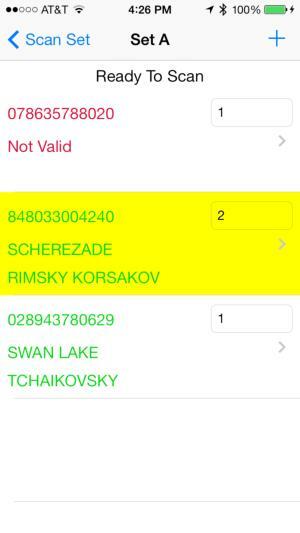 Physical inventory and item import scanner implemented on iPhone or iPod Touch. 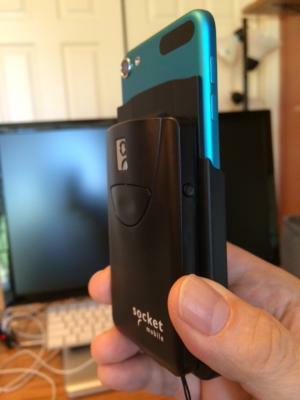 Uses the SocketMobile 8ci or 7ci Bluetooth scanner. Can verify scans in real-time. Uploads files to the Retail Pro system. One button import into physical inventory. The V9 Scanner System consists of the PI Scanner App for iPhone or iPod Touch, SocketMobile 8ci scanner, M&M RPro Data Service and M&M Scanner plugin. The PI Scanner App is available from the Apple Store and is downloaded directly onto the iPhone or iPod Touch. The PI Scanner app is free and is compatible with iOS 7 and 8. The M&M RPro Data Service and Scanner Plugin are downloaded from this page in zip format. This product is licensed. Licensing is by number of inventories. There is no limit to the number of scanners that can be used. Scanning is done with the SocketMobile 8ci or 7ci Bluetooth scanner. The 8ci fits in a holder that attaches to an iPhone or iPod Touch. The 7ci is a handheld. Multiple sets of scans can be stored on the device. Each is identified with a name, subsidiary, store code and zone. 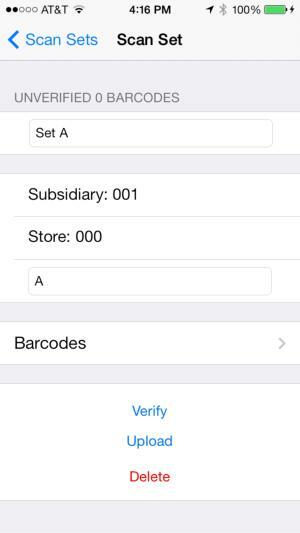 Barcodes can be verified against inventory as scans are done and RPro inventory info will be displayed with the scan. (Requires wifi at the location where scanning is being done). 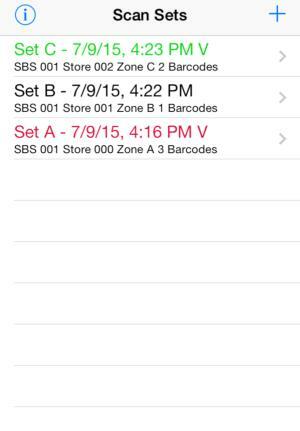 Alternatively, sets of barcodes can be scanned and then verified later as a group. Scan files are uploaded to the Retail Pro system. The scanner plugin provides one-button physical inventory import or import into any RPro document.